This is part of a series of posts from Datalab on how the 11-plus works in practice in Kent. Find the other posts in the series here. Children who are eligible for free school meals (FSM) are less likely to sit the 11-plus in Kent. And when they do, they are far less likely to pass it: just 12% of FSM-eligible students pass the test, compared to 30% of those not FSM-eligible. The chart below shows the difficulty in helping FSM pupils achieve access to grammar schools. It’s clear that those few FSM pupils who take the Kent Test are heavily weighted towards quite low scores, and even those who achieve the 320 pass mark often only just do so. However, we think this distribution of scores understates the true academic capabilities of FSM-eligible students. Reasoning (verbal, non-verbal and spatial) makes up a third of the Kent Test. Kent state primary schools are explicitly asked not to prepare their pupils for the 11-plus. This means that the only students who are able to gain familiarity with the reasoning questions used are those whose parents help them practice, those who pay for private coaching, and those at private schools. By contrast, the English and maths parts of the test cover national curriculum materials, though clearly attainment can be raised through tuition here too. We think this lack of specific 11-plus preparation among some students – such as FSM-eligible students – explains why the FSM-gap in average paper marks is greatest in reasoning, at 7.7 points, compared to maths (6.8 points) and English (3.9 points). 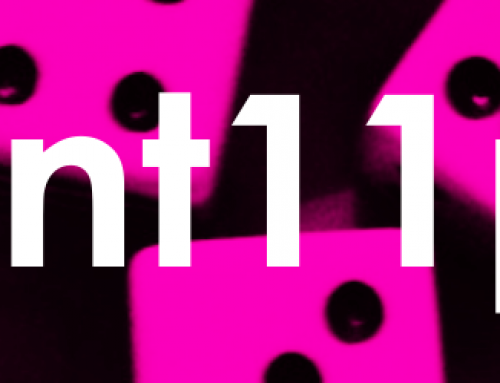 If the 11-plus is a dice, then the reasoning component contributes to the dice being loaded against disadvantaged children. The type of primary school attended also affects how much higher a candidate’s reasoning score is, compared to their English and maths scores – we could call this a ‘reasoning premium’. For children who attended a private school in Kent this reasoning premium is 3.7 marks higher than the reasoning premium observed for those with the same maths and English 11-plus scores who attended a Kent state primary. Reasoning premiums are also 0.8 and 1.7 marks higher than those observed in Kent state primaries for those who attended state, and private, schools outside Kent respectively. This suggests those at Kent private schools are the most prepared for the reasoning test – most likely, because their schools are preparing them for it. Among state primaries in Kent, there is also a link between the size of the reasoning premium observed and the proportion of children at the school who are FSM-eligible. This may be because schools are discretely preparing them for the reasoning element of the 11-plus or, more likely, that a school’s free school meals percentage acts as a proxy for the child’s social background and therefore probability of preparation via private tuition or at home. A 10 percentage point fall in the school FSM percentage is associated with a 1.1 point increase in the reasoning premium a student achieves. 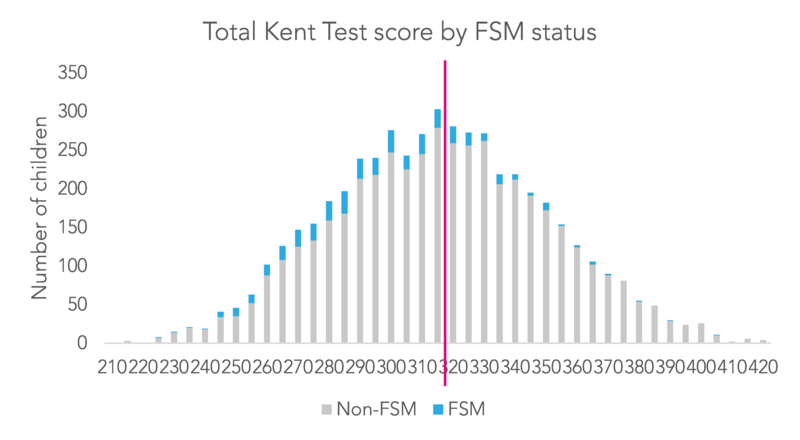 We can compare Kent Test scores to subsequent Key Stage 2 test scores, taken eight months later. Inferences from this type of comparison are necessarily limited, since much preparation for the 11-plus will also directly raise KS2 attainment. However, this comparison may reveal short-term 11-plus test preparation that does not translate into higher performance eight months later. If we take students with identical test marks in the reading, grammar and maths elements of the SATs, the children who are eligible for free school meals have overall 11-plus scores 8.7 points lower, on average. The FSM point difference is most pronounced on the reasoning part of the 11-plus test, at 3.7 points, and it is least on the English part of the 11-plus test, at just 1.1 points. These differences are not huge, but they are material. 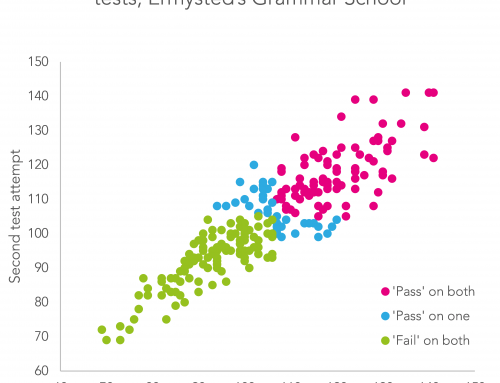 For example, if we simply rank this sample of pupils from the lowest to the highest overall KS2 score (across reading, maths and grammar), whilst holding constant number deemed suitable for a grammar, then the rate of FSM pupils’ access to grammar schools would increase from 12 to 16% among test takers. Children eligible for free school meals score particularly poorly in the reasoning element of the Kent Test compared to other children. 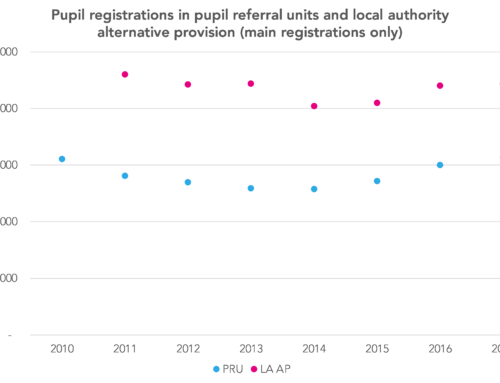 There is evidence that other children receive more preparation for this part of the 11-plus through access to private education, or tutoring. This is part of a series of posts from Datalab on how the 11-plus works in practice in Kent. Now read the next post in the series. 1. It was two-thirds prior to 2014.